Since 1979 FC Barcelona have been fully devoted to raising young football talents through their own ranks, at the world famous youth academy La Masia. 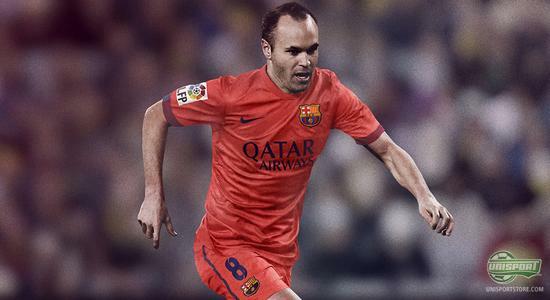 Here they have developed superstars like Iniesta, Xavi, Puyol and Lionel Messi. 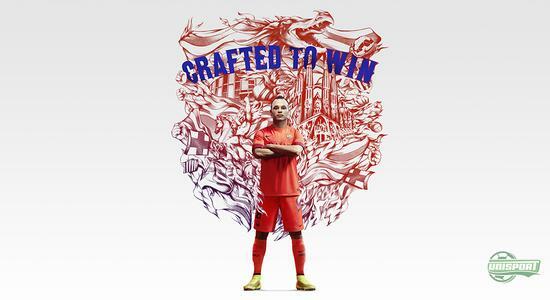 Now Nike pay homage to FC Barcelona's pride, by capturing the youthful spirit in the new Barca away-shirt. See more of it here. There aren't a lot of football clubs in the world that can boast the same amount of homegrown talent, as FC Barcelona. Inspired by Ajax' youth academy and suggested by Johan Cryuff, who himself was a product of the Dutch giants system, Barcelona began developing their young talents not only to first team players, but superstars. You can order the new FC Barcelona shirt from the 17th of July. 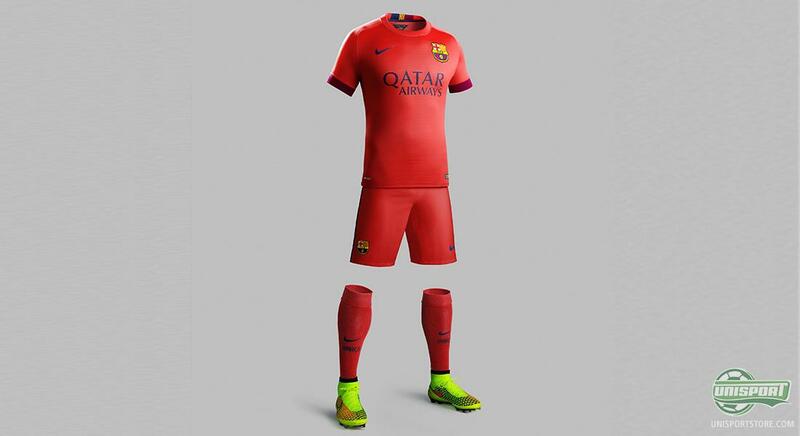 This is the spirit Nike have tried to embrace with FC Barcelona's new away-shirt, which comes in a sharp and fresh crimson colour. The colour represents the youthful spirit that defines La Masia, as well as the young players who want to stand out from all the rest. 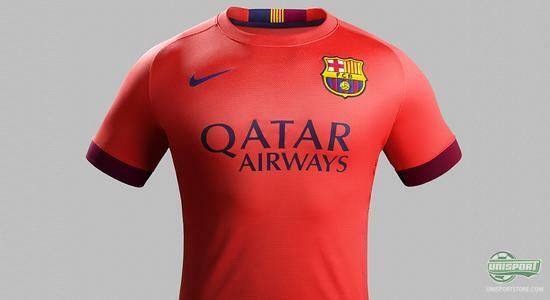 The new away-shirt therefore comes in just the blood red colour. The only features that break up the design are the obligatory logo's, as well as the Catalan flag, Senyera on the inside of the neck collar. At the same time Nike have naturally not forgotten the characteristic motto: “Mes que un club”. (More than a club), as well as the year the club was founded that is placed below the flag. As always Nike's shirts are not only defined by an inspiring design, but also developed with the very best technologies on the market. The Dri-fit helps divert sweat and moisture away from the shirt, which makes it very comfortable to wear, even when the weather gods turn up the heat. 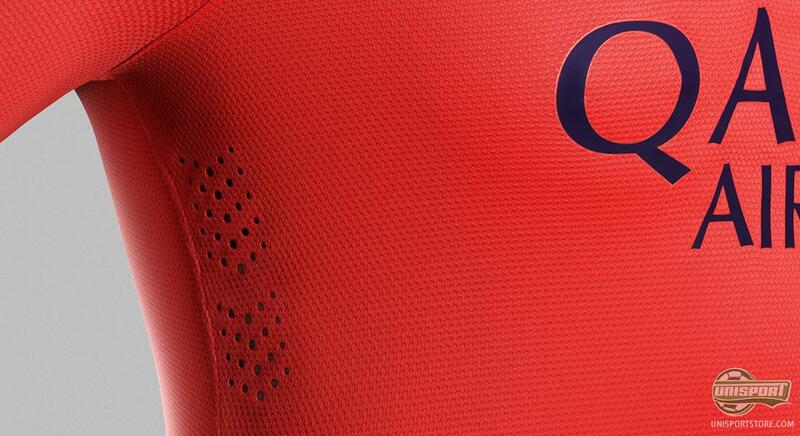 The lazer carved ventilation holes, also work to keep the body temperature down. 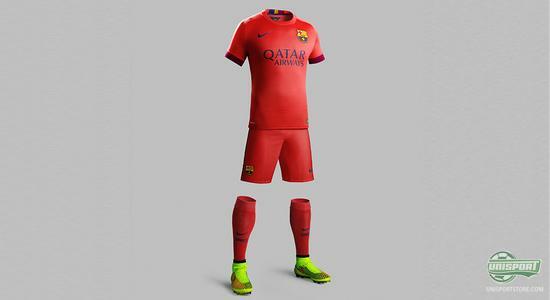 Furthermore the shirt, shorts and socks are developed through Nike's 3D bodyscanner. This means that Nike can give a far more personal fit and players will feel that the clothes are developed just for them. The better the clothes fit, the better the Spanish stars will perform. FC Barcelona are very proud of their youth academy La Masia, which is responsible for producing some of the world best footballers. 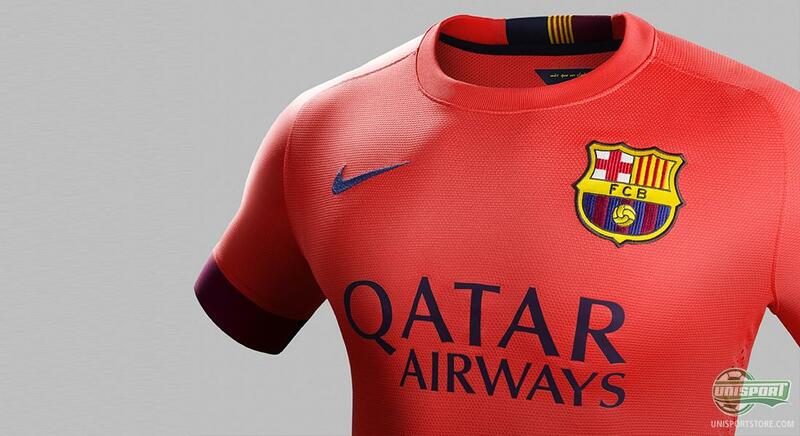 Now Nike have attempted to capture the essence of this in Barcelona's new away-shirt. What do you think about the new kit? Have Nike hit a bulls-eye here?